In the village of Anata, northeast of Jerusalem, the home of Arabiya and Salim Shawamreh has been demolished seven times by the Israeli authorities. It is one of over 14,000 demolition orders issued between 1988 and 2014 against Palestinian-owned structures located in Area C of the West Bank. Beit Arabiya—House of Peace—located on a steep and rocky hillside that runs down to a ravine at the bottom of a narrow canyon, is named in honor of Arabiya Shawamreh, whose home has been demolished seven times by the Israeli authorities. In the early 1990s, Arabiya and her husband Salim purchased a small plot of land in the village of Anata, northeast of Jerusalem, close to the Shuafat refugee camp where Salim grew up. Over the course of four years, they applied three times for a building permit with the Israeli Civil Administration, but were denied each time. Each application cost them $5,000. 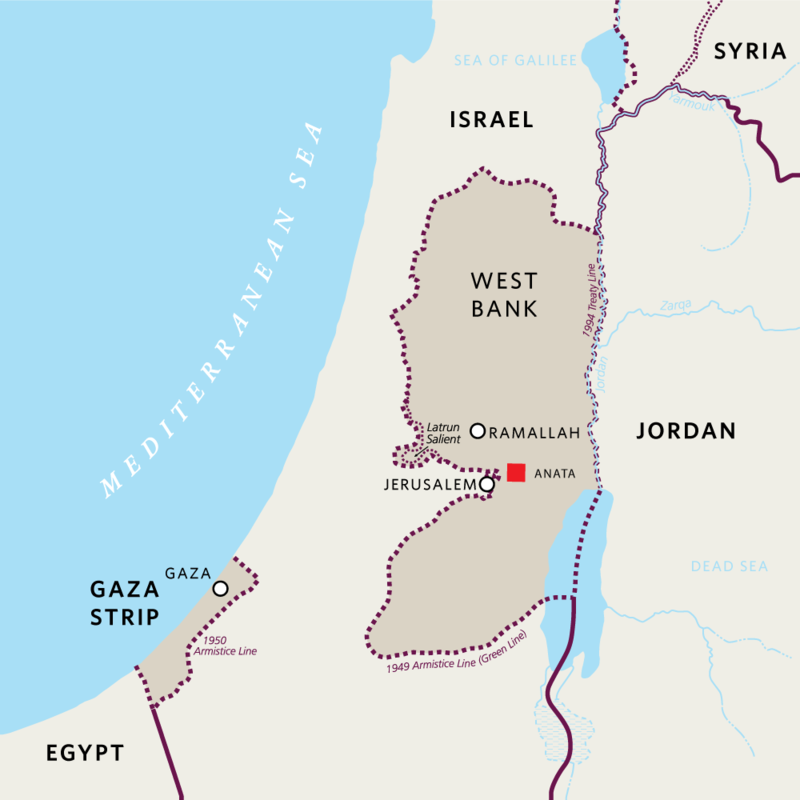 Their land is in Area C—the portion of the West Bank that is under the full control of Israel. Though they were denied a permit, in 1994, Arabiya and her husband Salim decided to build a family home for their seven children at a cost of $20,000. They filed an appeal with the Israeli Supreme Court to obtain a building permit, but they were again denied—for the fourth time. In July 1998, a force of some 300 soldiers came unannounced and demolished their home, leaving the family traumatized and financially ruined. 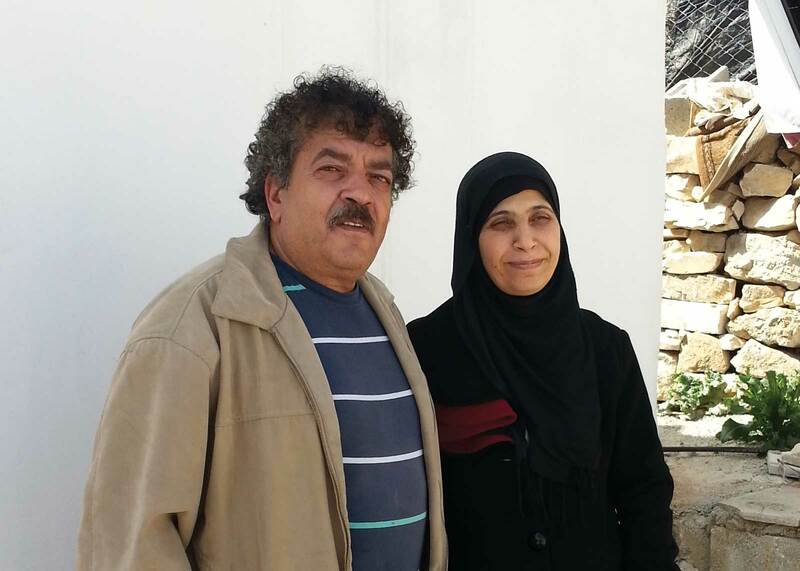 With support from the Israeli Committee Against House Demolitions (ICAHD), the Shawamreh family decided to rebuild their home. The newly constructed home was demolished before the family could move in. With the help of neighbors and the ICAHD, the family again rebuilt the home a third time. After their first night, the house was again demolished. In 2003, the Shawamreh home was rebuilt for the fifth time. Recognizing that they would never be allowed to live there, the family dedicated it as a peace center—Beit Arabiya—to challenge the occupation. The building has been demolished and rebuilt twice since then. Today, facing Beit Arabiya on the opposite side of the canyon, is a fortress with watch towers—the principal interrogation and detention center of the Israeli security service. Arabiya and Salim’s home is a center for peace in the memories of Rachel Corrie and Nuha Sweidan, two women (an American and a Palestinian) who died resisting home demolitions in Gaza. The Shawamreh family now lives in an apartment in Kafur Akab, next to the Qalandiya refugee camp. For decades, Israeli officials have violated the international law of occupation, prohibiting the destruction of property except for reasons of military necessity. Arabiya, Salim, and their children, who live with long-lasting psychological damage from the repeated demolitions of their home, are paying the price. After the first demolition, Arabiya was unable to speak for a month and remains fragile psychologically. Salim and Arabiya’s children still suffer, especially from nightmares and panic attacks. Construction in Area C—which constitutes over 60 percent of the West Bank and is under Israeli administrative and security control—requires a permit from the Israeli Civil Administration (ICA). Even basic residential and livelihood structures, including a tent or a fence, require a building permit. In 70 percent of Area C, Palestinian construction is prohibited; in 29 percent of Area C, it is heavily restricted—making it impossible for the Palestinians to obtain building permits. 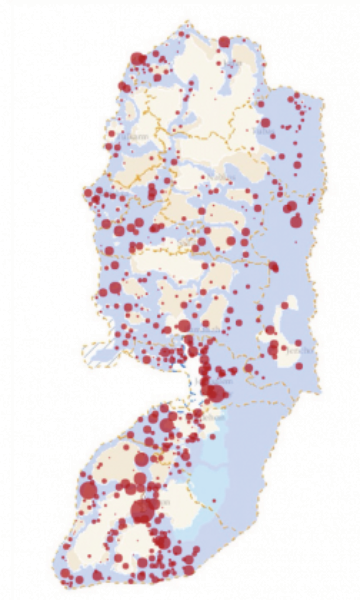 Only one percent of Area C is left for Palestinian development, most of which is already overcrowded. Between 2010 and 2014, only 33 of 2,020 applications submitted by Palestinians for building permits in Area C—1.5 percent—were approved. Any structure built or rehabilitated without a permit risks demolition. Between 1988 and 2014, the ICA issued 14,087 demolition orders against Palestinian-owned structures located in Area C (see map). Twenty percent of the demolition orders (2,802 orders) had been executed by the end of December 2014 while 11,134 demolition orders were left outstanding in January 2015, leaving affected households in a state of chronic uncertainty and threat. 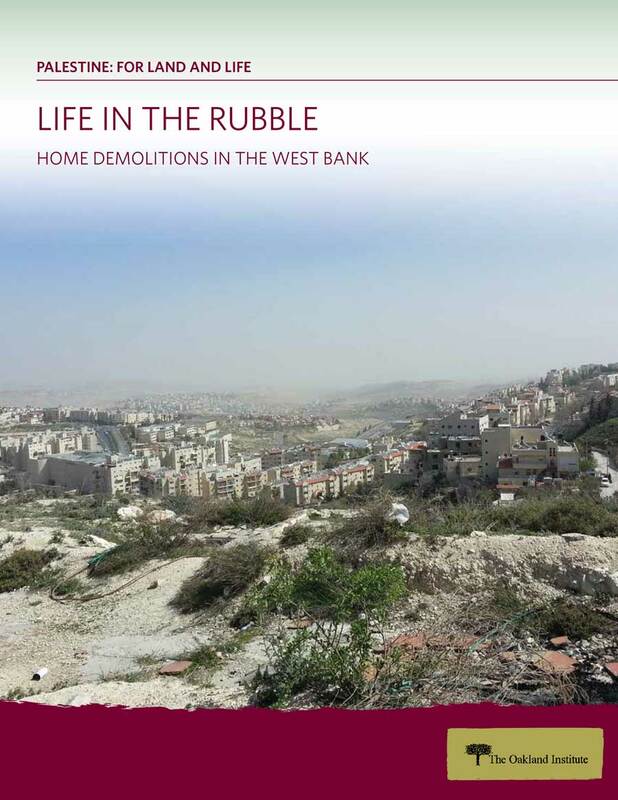 In 2016, the United Nations Office for the Coordination of Humanitarian Affairs (OCHA) recorded the highest demolition and displacement figures in West Bank since it started recording in 2009. 1,089 Palestinian-owned structures throughout the West Bank, including East Jerusalem, were demolished because they lacked Israeli-issued building permits from the Israeli authorities, displacing 1,593 Palestinians and adversely impacting the livelihoods of another 7,101.